Ever Oasis! Oceanhorn! RPG Maker FES! Runbow Pocket! Demos! More! The official press release with all of this week's European Nintendo Download Update pricing and details was a little slow to arrive this week, but we do now have the full line-up. There are some tempting options across Switch, 3DS and Wii U, along with some Sonic-themed discounts and lots more besides. Let's get to it. Oceanhorn: Monster of Uncharted Seas (FDG Entertainment, €14.99 / £13.49) - A hit on mobile that wears the Legend of Zelda influence on its sleeve, this is nevertheless a game that goes its own way with s relatively lengthy download adventure. Despite some flaws we quite enjoyed our time with this, giving it a modest recommendation in our Oceanhorn: Monster of Uncharted Seas review. 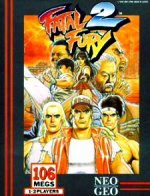 Fatal Fury 2 (HAMSTER, €6.99 / £6.29) - A fighting game? On Neo Geo?! Another rare treat for us all to enjoy. Ok, that's not fair, but it is another fighting title to consider with those ACA goodies such as online leaderboards. 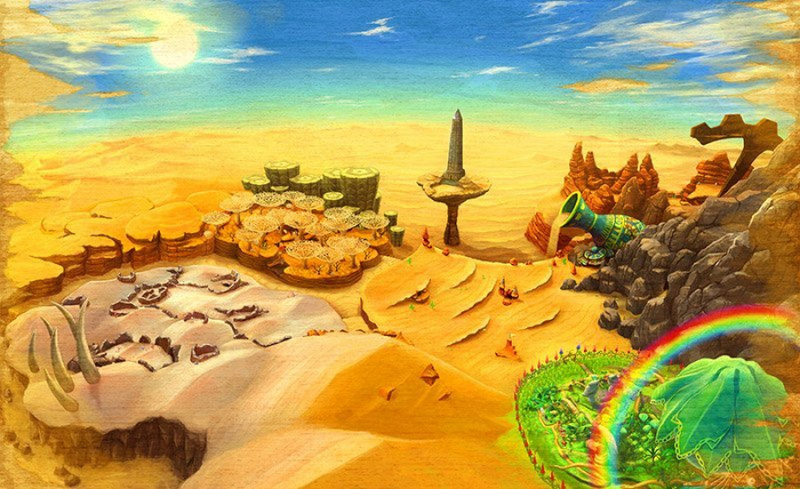 Ever Oasis (Nintendo / Grezzo, €39.99 / £34.99) - A title that blends aspects of town management, adventuring and dungeon crawling / combat, this showed rather well during its recent E3 Treehouse showing. It's certainly ambitious and an intriguing arrival, and we're cracking on with a review to share with you soon; in the meantime you can check out our interview with its legendary producer, Koichi Ishii. Available from 23rd June. RPG Maker FES (NIS America, €39.99 / £39.99) - A title that's sure to tempt quite a few 3DS owners, as it offers the tools and capabilities to create our own RPG adventures, which we can then share and upload with others. The concept is enticing, and we were impressed when we went hands-on with the app earlier this year. Available from 23rd June. Runbow Pocket (13AM Games, €13.99 / £10.99) - Runbow certainly made an impact on the Wii U, and now heads to the New 3DS in a couple of different forms to offer us the colour-swapping platforming on the go; DLC will also be available to buy separately. You can learn more about it in this update from the developers. River City: Knights of Justice (Natsume, €14.99 / £13.49) - Known in Japan as Nekketsu Mahou Monogatari, this takes the series into a medieval RPG adventure, which is quite a change-up for the franchise; it promises over 100 quests and multiple paths. We tried this out at E3 just recently. RPG Maker Player (NIS America, free) - An interesting app, as it'll allow players to download and enjoy the creations of those that are using RPG Maker Fes, all for no cost. The Girl and the Robot (Flying Carpets Games, €9.99 / £8.99) - This project has been in the works for a long time, so it's pleasing to see it finally arrive on Wii U in Europe. Calling to mind the PlayStation 2 classic ICO, the game - as the title suggests - features a girl and her robot companion as they attempt to navigate their way through a mysterious fortress. This game is cited as the "first act of the fairy tale". Drop It: Block Paradise! (ZeNfA Productions, €9.99 / £8.99) - A game offering plenty of physics-based puzzles; you use the GamePad touchscreen to tap blocks and remove them from the screen, manipulating objects to solve the stages. Also includes a level editor and the option to share / try out other players' creations. Tempted on the Sonic sale (3DS and Wii U). Any recommendations? Don't leave Kunio hanging on the 3DS eShop. Send the message we want all the Kunio in the West! There's also a demo for Ever Oasis. All Stars Racing Transformed is a fantastic racer, and I'd give Lost World a go as it's pretty solid for a Sonic game although frustrating at times (Wii U). Sonic Generations on 3DS is also pretty great but obviously not as good as PC, PS3 and Xbox360 versions. I recommend getting Squids Odyseey for Wii U at that price. Is Uncharted for Switch coming to retail? I'll be downloading some 3DS demos, and maybe the RPG Maker. I wish they would bring an RPG Maker to Switch though. Also, Dr. Kawashima's Diabolical Brain Training and Ever Oasis have a 3DS demo as well. Whoa, this week is packed! I'll get the Miitopia demo, and that RCR game looks hilarious from the screenshots. Is it any good? Will there be a review of it? I'll pick up the two 3D Sonic games. If you're not sick to death of the Genesis Sonic games, 3D Sonic & 3D Sonic 2 are the best kind of retro. You can play on a mock up CRT TV, it's pure 90s bliss. The mr shifty patch makes me think about picking up the game now. @SLIGEACH_EIRE You were confident enough that you switched the year with a week? I thought Cave Story + was meant to be this week too. It's disappointing enough that we're getting screwed out of a physical release, but they could at least give us the digital game on time. 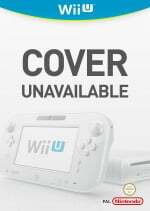 Damn is cave story + only exclusive in america. Ive seen copys on ebay for around £35-40 E rated i think. Is this coming to the uk? I'll probably give the Pikmin demo a go for the LOLs. Though I'd have to find and charge my 2DS first. So I'll just wait for that one. Ever Oasis is very tempting for me. I might hold off on getting it though, as there's other games keeping me busy right now. I have all the Sonic games on Wii U, so at the moment I'm torn between buying Generations or a few of the older classics. I might buy the 2 3D remakes, as Generations and Sonic 1 can also be bought physically. Sonic & All-Stars Racing Transformed €19.99! It is €6.99 on the PS3 PSN right now. Ever Oasis physically, the Miitopia demo, and probably The Girl And The Robot, too! Will get Pirate Pop Plus for that price. Disappointed that, given the time difference, we seem to get our updates after America nowadays. How is Europe enjoying the Neo Geo Switch? Lol. @Bengals76 I find it weird that the newest 'hottest' platform has tge lowest number of new games.. a mobile port and a neo geo game. Even the dead WiiU does it better.. The 3D Sonic the Hedgehog 2 discount is tempting, but I still hope to see a retail edition of the Sega 3D Classics Collection Final Stage in Europe, although there hasn't been any news about it in months. Well, I guess sooner or later Sega will give us another Sonic sale anyway. I'm going to buy the Girl and the Robot as soon as I can. Hey Pikmin is the first Pikmin game that I like (not counting the Nintendoland attraction). @koekiemonster You say that as though getting Neo Geo games is a bad thing. Getting a lesser version of another Neo Geo game is the bad part. I'm still crossing my fingers that we'll get FF Special, KOF '95, KOF 2000 and Samsho II before Hamster gives up on the Switch. Anyone know when the second River City game hits? It looks more appealing to me than this Knights of the Round. But who know's i might grab both anyway. I just thought they were released at the same time. Both of those demos had already arrived in Europe last week.